Directions Our lead stylist suggests: Step 1: Prep hair with 24 Hour Shampoo and Conditioner. Step 2: Create your style with 24 Hour Body Foaming Mousse by first shaking can and dispensing mousse directly to a vent brush. 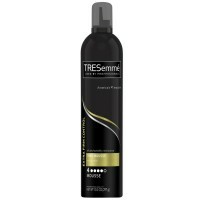 For best results use 2-3 applications of mousse and evenly apply through damp hair brushing mousse from roots to ends. For maximum height, blow dry upside down pulling away from the roots with a brush. Step 3: Finish your style with 24 Hour Finishing Spray or Weightless Crème. Uses Our philosophy: From our origins in salons around the world, we've always had a simple vision: to create stylist-tested, salon-quality products without the salon price tag, so you can experience that salon feeling everyday. 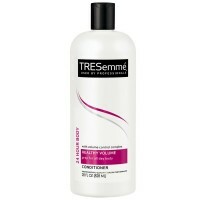 This product: 24 Hour Body Foaming Mousse allows you to create amazing volume that outlasts your day. 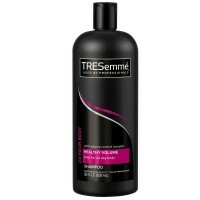 This formula, with Volume Control Complex, offers a light and fluffy texture that works during styling to plump hair giving it optimal body and bounce. Getting maximum results with minimum effort never felt so good. This product contains a maximum of 6% Voc's. This product is not tested on animals. Warnings FLAMMABLE. DO NOT USE PRODUCT NEAR FIRE, FLAME OR SPARKS. DO NOT SMOKE UNTIL HAIR IS THOROUGHLY DRY. CONTENTS UNDER PRESSURE. DO NOT PUNCTURE, INCINERATE OR CRUSH. DO NOT EXPOSE TO HEAT OR STORE AT TEMPERATURES ABOVE 120F (49C) AS CAN MAY BURST. DO NOT USE IF NOZZLE IS MISSING OR DEFECTIVE. KEEP OUT OF REACH OF CHILDREN. USE ONLY AS DIRECTED. AVOID CONTACT WITH EYES. INTENTIONAL MISUSE BY DELIBERATELY CONCENTRATING AND INHALING THE CONTENTS CAN BE HARMFUL OR FATAL.